The Oak Room, Millennium Seoul Hilton's traditional English-style bar, is pleased to host a Carvery Wine Buffet from Oct. 9, 2006 to April 30, 2007. Every Monday through Saturday night, from 6:00 p.m. to 8:30 p.m., Oak Room will feature a different menu of sumptuous items to choose from. In a cozy and romantic atmosphere, perfect for the upcoming colder months, diners can feast on a carvery buffet, a mixed lettuce salad, and fruit cocktail for dessert. To accompany your meal, you can choose from an unlimited bounty of wine, draft beer, or soft drinks. The following is a list of the daily specials. 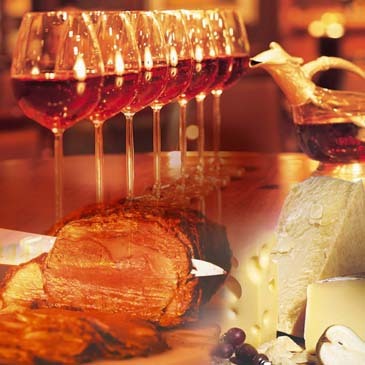 Priced at only KW26,000++ per person, the Carvery Wine Buffet includes the Carvery Buffet as well as unlimited wine, beer or soft drinks. A wonderful value to be enjoyed in the comfortable ambience of the Oak Room. The Oak Room is a traditional English-style bar with a log fire for cold winter nights, but also features a patio garden with a breathtaking view to enjoy when the weather is just right outside! Offering a wide selection of international beers and cocktails as well as a tempting menu, the Oak Room is the perfect place to unwind after work with colleagues or enjoy a casual meal with friends and family. Taipan, Millennium Seoul Hilton's Chinese restaurant, is honored to welcome Master Chef Chan Kwok to its kitchen for a special one-week Guest Chef promotion. From Wednesday, October 25th to Tuesday, October 31st, Chef Kwok will whip up his brand of culinary masterpieces for a la carte and table d'hote diners. 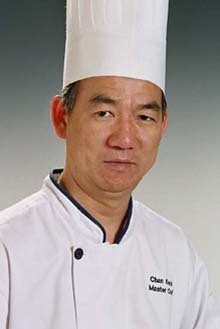 Originally from Hong Kong, Master Chef Chan Kwok comes from a family of chefs. He took his first job as an apprentice at the age of 17, and has worked at various restaurants in Hong Kong, Macau and Singapore. Chef Kwok now presides over the illustrious Hua Ting Chinese restaurant at the Orchard Hotel in Singapore, which won the prestigious Asian Ethnic Restaurant Award of Excellence at the World Gourmet Summit in both 2003 and 2005. Shark's Bone Cartilage Soup, Braised Turtle, Homemade Beancurd with freshly peeled Roe Crab Meat and Braised Australian Green Lips Abalone are some of the dishes that have become synonymous with the artistic creativity of Chef Kwok. This special Guest Chef promotion is an exceptional opportunity to taste the dishes that have made Chef Kwok renowned worldwide, and have made Hua Ting such a pinnacle for Chinese cuisine restaurants. For reservations or enquiries, please call Taipan at (02) 317-3237.